Charter yachts - Which type is right for you? 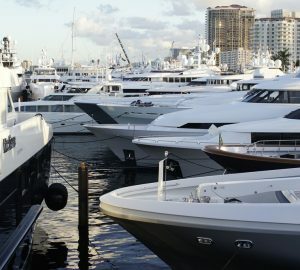 There are as many different types of charter yachts available as there is locations in the world to charter them. Charter yachts range in size, shape, length, and width. Charter yachts range from power boat mono-hull and multi-hull to sailing mono and multi-hull. There are brand new high tech racing charter yachts and cruisers and there are old classic racers and cruisers. There are older cruiser charter yachts which are cheaper to book than onshore accommodation. There are luxurious superyachts with crew that cater to every charter guest's whim and pleasure. These different types of charter yacht suit each particular purpose or each particular charter guest. In general, however, yacht charterers are looking for the most modern yacht of a reasonable size which is also good value for money. 1. Whether there is any ocean swell around your intended anchorages? If there is for comfort you may want to consider a catamaran or larger mono-hull yacht. 2. If you are bareboating and have a limited amount of experience you may consider chartering in a charter location where conditions are easier to handle. How many guests do you have and how many of those have experience? If you have a particular charter yacht and charter location in mind please use our search function here. If you can't find what you want in our listing just contact us. If it exists, we will be able to locate what you are looking for. If you want some free advice or you are not too sure what would be best for your requirements, please contact us so we can help. Mono-hulls – They include schooners, sloops and ketches. Mono-hulls are great for adventure sailing or cruising. Although comfortable, monohulls don’t tend to have as much interior and unused deck space as a catamarans. Catamarans/Multi-hulls – Catamarans are great for stable and fast cruising. For a charter yacht of the same length, they have far more interior space. Catamarans have a low draught, allowing cruising in shallower waters. Motor-sailers – Motor-sailers are predominantly monohulls. They have a large engine capacity, similar to some power boats. This allows great speed when under power. They also have the benefits of sail and wind power. Both monohull and catamaran provide extra space, comfort and luxury. They also generally cruise faster than sailboats. Classic sailing charter yachts are generally older, well maintained traditional classic yachts. The term is rather loose. They may be square riggers, traditional Turkish Gullets or a historical sailing barge. Classic charter yachts tend to be beautifully finished in an authentic style. They will almost always come with crew. At CharterWorld, we only book charter yachts, through professional and reliable operators. The charter yachts industry in general is made up of two different types of charter yacht. Private yachts which are managed by a management company or charter operator. Charter operator owned charter yachts. There is no effective difference between the two types as far as the charter guest is concerned. Please use our online charter yacht advanced search feature above to find the type or charter yacht you are looking for.